Vet Clinic Hits 6 Month Milestone! It’s hard to believe that half a year has gone by since starting the Vet Clinic, but it’s officially been 6 months! Over 600 veterans have contacted our hotline and 90 attorneys have committed to helping them. What a great success story! Our volunteer attorneys have drafted 30 Simple Wills and/or Healthcare Powers of Attorney, giving Veterans and their spouses the peace of mind of knowing that their final wishes have been documented. Volunteers have assisted 47 veterans to see if they qualify for Expungement, and when they do not qualify, have assisted with seeking Pardons. Catholic Charities has provided low-cost SLED reports on the day of the clinic, so the volunteers have the best information to advise the veterans. Not only do our volunteers provide quick help at the clinic, many have taken cases back to their offices for further representation. Our attorney volunteers have advised 38 Veterans on Child Support Cases, 17 Veterans for Consumer Protection issues and helped 5 Veterans obtain Identification, including 2 homeless Veterans who had no forms of identification at all. For all the Veterans who contacted us with problems that our clinic could not handle we did our best to direct them to the person or organization that could help. The great response from Veterans needing help and attorneys wanting to help has shown us that this clinic is meeting a previously unmet legal need. Many of the Veterans we see are physically disabled or suffering from PTSD, some can’t find work or are homeless, and a good number of them have no real family support in the area. Some are making due with the small amounts of money they get from the VA for service connected disabilities. Some of them really just want someone to answer their questions. As happy as we are with the work we have done, there is so much more to do! 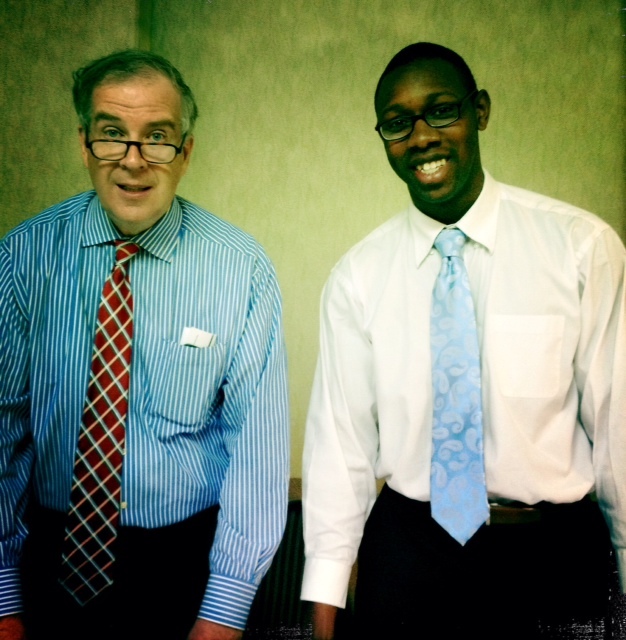 Lawyers 4 Vets is focusing on 2015 and scheduling attorney volunteers for the first 6 months of the year. We already have two local law firms who are “sponsoring” a month by providing the attorney volunteers for an entire clinic, but we need more volunteers to help with a clinic or to take a case that needs more than the clinic can provide. We are dedicated to continuing this project and helping many more veterans in the coming months. We would like to thank the following attorney volunteers for generously donating their time and expertise at the clinic, and for all of you who agreed to ongoing representation for these Veterans! 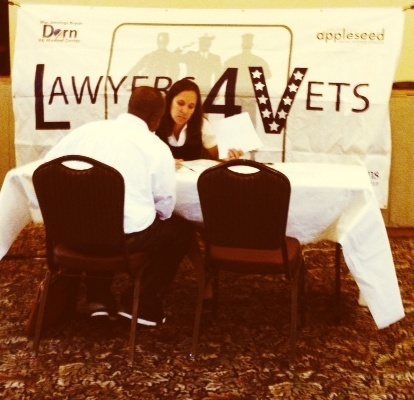 There has been a total of over 117 pro bono attorney hours donated at the Lawyers 4 Vets Clinics, and many of you have taken cases back to your office for ongoing representation. Marti Bluestein, John Delgado, Kenny Dojaquez, Bennett Gore, Clarke Newton, Eugene Powell, and Ashley Thompson of Bluestein, Nichols, Thompson and Delgado. Judy Blackwell, Chauntel Bland, Sarah Eibling, Kristy Goldberg, Suzanne Hawkins, Hannah Honeycutt, Thompson Kinney, Jill Kunkle, Bill Latham, Suzanna MacLean, Will McKeller, Edye Moran, Rob Peele, Constantine Pournaras, Eric Reed, Drew Ritner, Tim Savidge, Ross Shealy, Tara Sullivan, Richard Thompson, Laura Valtora, and Overture Walker. Also, thanks to Leisa Lipscomb at Catholic Charities for providing low-cost SLED reports to our Veterans the day of the clinic. Thanks to the Dorn VA Medical Center for the space to hold the clinic, and for the coffee, IT support, and security provided to make the clinic possible. Last but not least, thank you to Nelson Mullins Riley & Scarborough LLP for their generous technical and administrative support, and especially to Norah Rogers and Kevin Werner.